Derby based graphic design agency threeguru have announced their latest recruit – self confessed Star Wars fanatic Ross Fletcher. ‘Fletch’, a graduate of Derby University, joins forces with the gurus as Senior Creative Designer and will add a passion for creativity and experience beyond his 24 years. An innovative designer with fresh ideas ‘Fletch’ adds a blend of studio management experience, alongside excellent communication skills and some well established client relationships. “The opportunity to join threeguru was too good to miss and will hopefully be the perfect fit for the next phase of my graphic design career.” Fletch said. 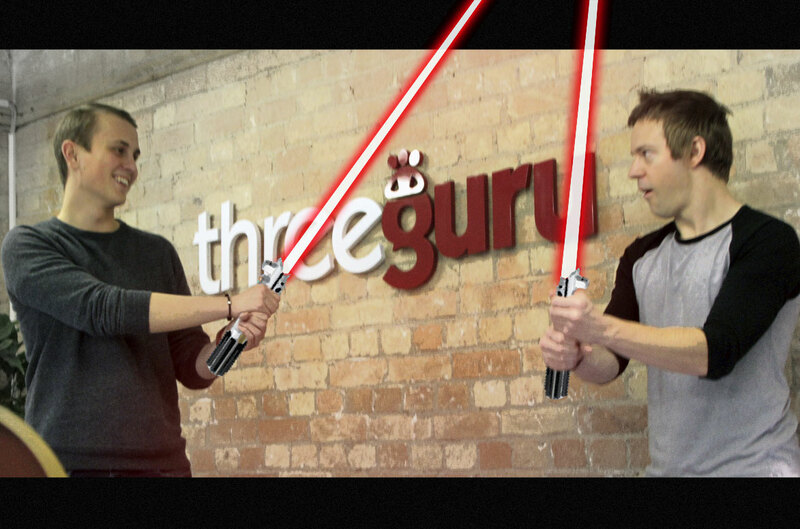 The Force Is Strong – Threeguru’s creative environment was hard to resist for their latest recruit!